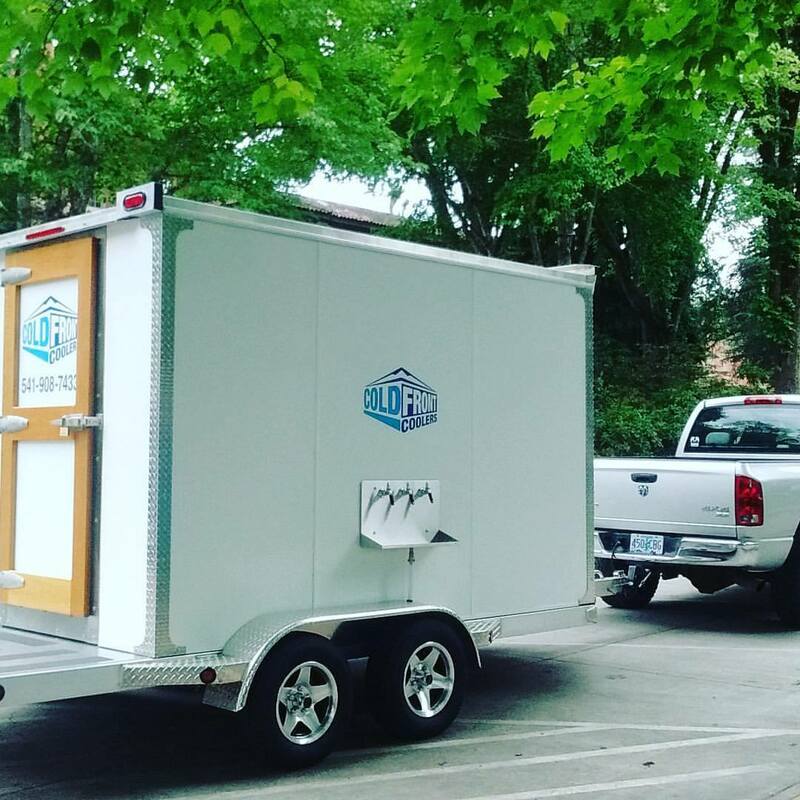 Delivering quality custom refrigerated trailers for your events. Proudly serving the Willamette Valley to the Oregon Coast and beyond. 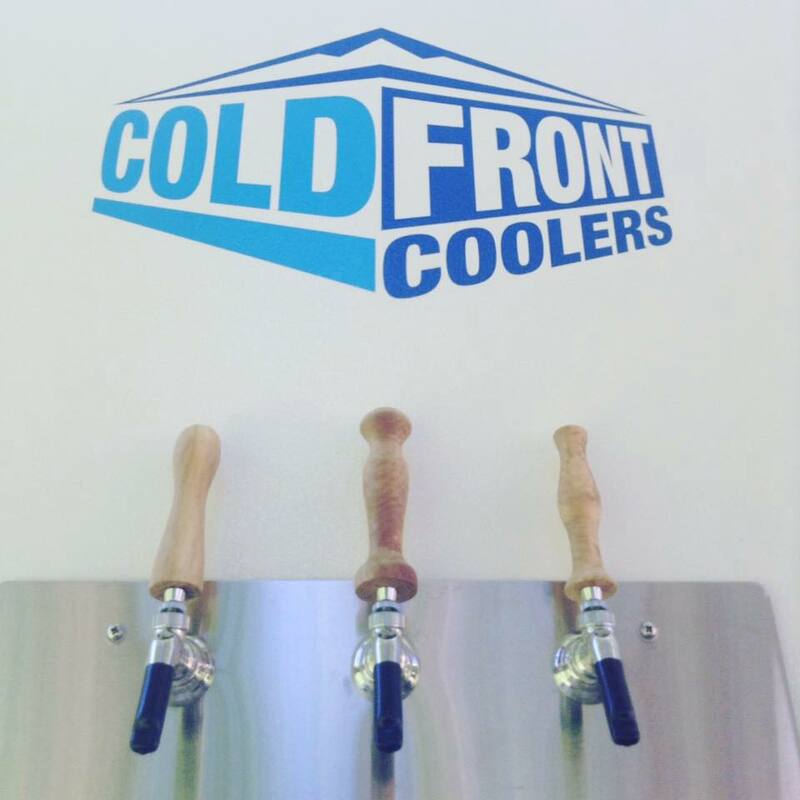 Each Cold Front Cooler is hand built by us here in the Oregon coast range and designed to provide quality portable cold storage for your next event. So much space! 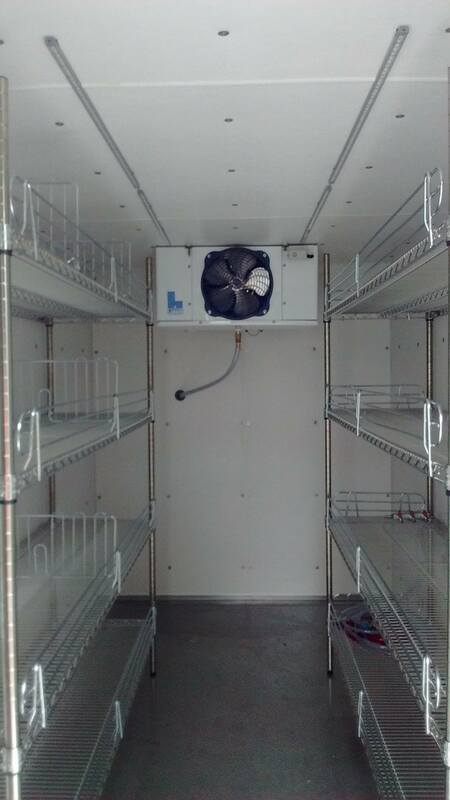 The interior of each unit offers nearly 400 cubic square feet of refrigeration. Stainless steel shelving removes easily to make room for your flowers, cakes, or up to 20 kegs. We started out with 3 on each unit and that was so much fun we upgraded to 4. So we figured why not add a 6 tap unit to our fleet? Take your pick if keg taps fit into your celebration.